The golfer, Matt Gutierrez, was taking practice swings with his wedge when the clubhead caught up a rope line pinned to the grounds with bolts. The force of his swing ripped one of the bolts out of the ground and sent it spiraling into Gutierrez’s leg, piercing his bone. 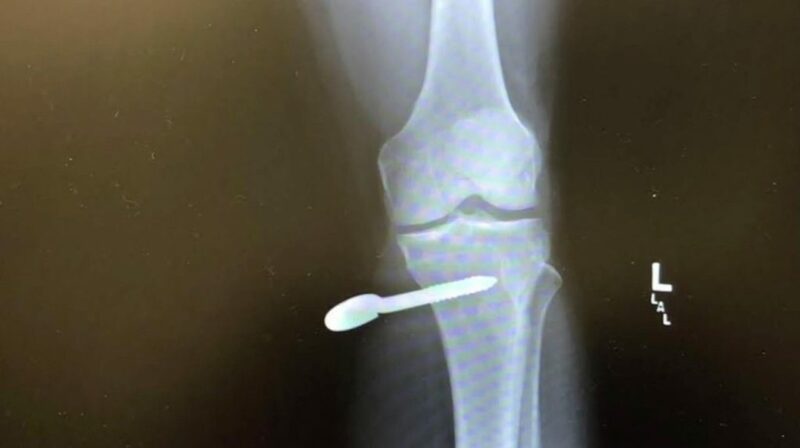 Gutierrez was taken to a hospital where doctors unscrewed the hardware. Gutierrez remains positive about it and takes it more as a joke. Now, hole-in-one has redefined itself for the man. The Greeley Country Club has decided to forego the rope line. When you are practicing, kindly take note of the environment and play safe.